Never Lose Another Note Again! 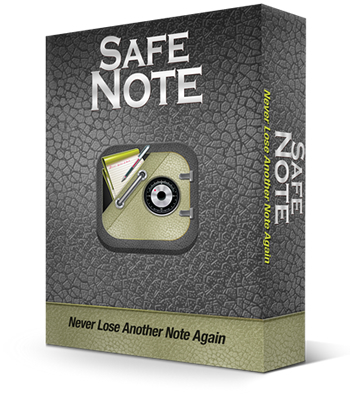 Safe Note is like a tab based Notepad for Windows on massive steroids. Aside from the auto-saving feature - it's got "Word Count" and you can even title your notes so it's easier to organize them. It will automatically save your notes to your hard drive AND to your Google Drive. It's also got a slew of features that we desperately NEED in a lightweight text editor. Safe Note is like a tab based Notepad simulation for Windows... on some serious steroids. - User friendly tab based interface. You can choose what interval you want the software to save your notes, and it allows you to title each note so that you can stay better organized. Only Available For the PC unless you run parallels on Mac. RIGHTS: PLR- Private Label Rights.